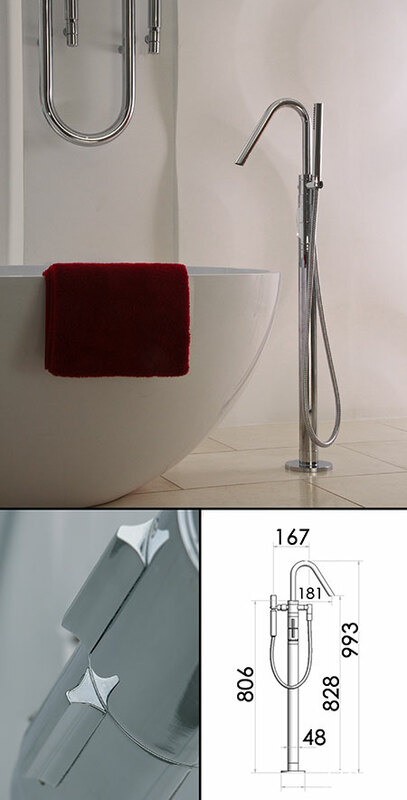 This thermostatically controlled freestanding bath filler shows nice minimalist styling with unique thermostatic hot and cold water mixing. This contemporary bath tap is manufactured and designed in the EEC ensuring high quality. * Minimum 1.5 bar water pressure.